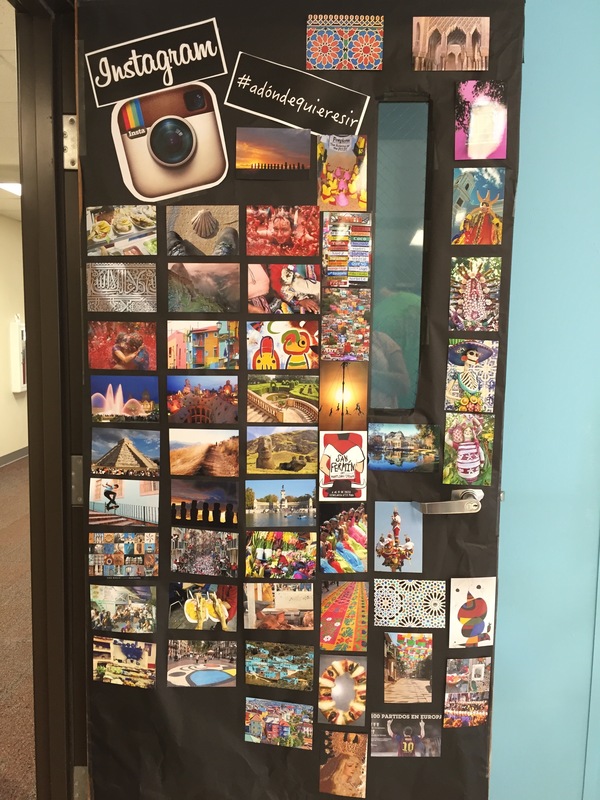 Left to right: Pinterest/Instagram inspired door decorations. 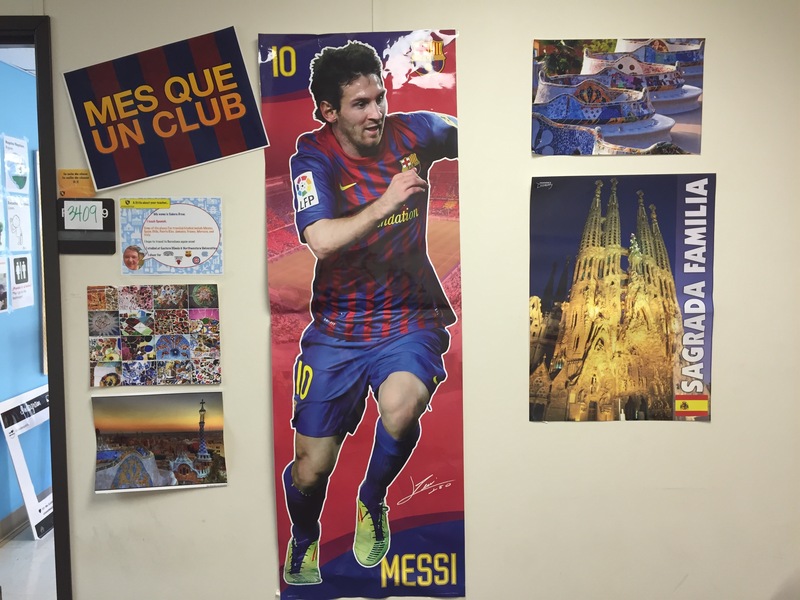 Thanks to free photo prints from Shutterfly, there are photos from around the Spanish-speaking world greeting students as they enter. Turquoise blue inspired by the water off the coast of Tulúm, México. 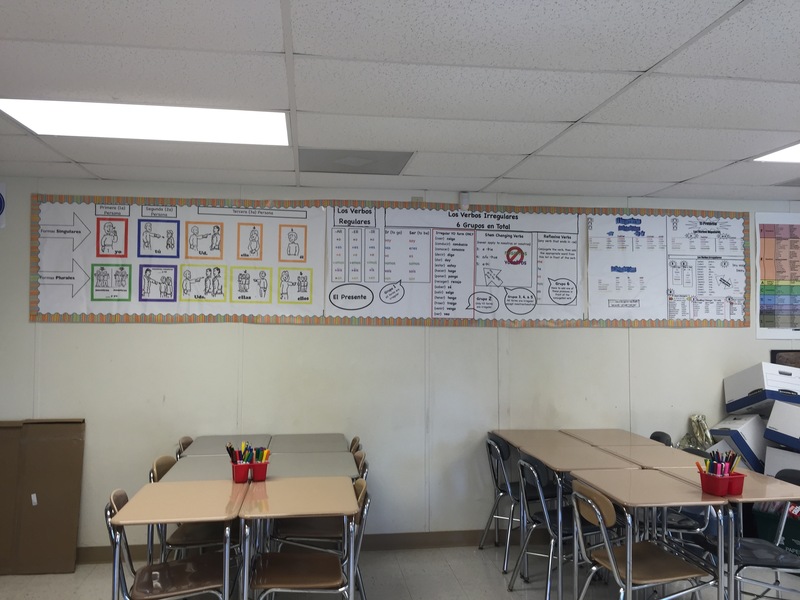 🙂 I use the walls as a reference chart, so there are some common classroom expressions posted, then Amy Lenord’s kid-friendly proficiency descriptors next to places for classroom announcements. 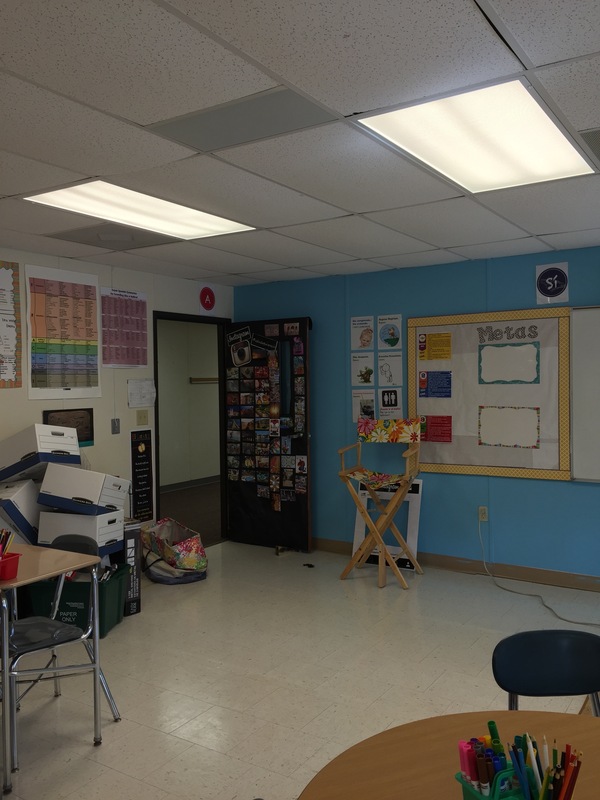 An IKEA kitchen cart with drawers and shelves makes an amazing presentation station. 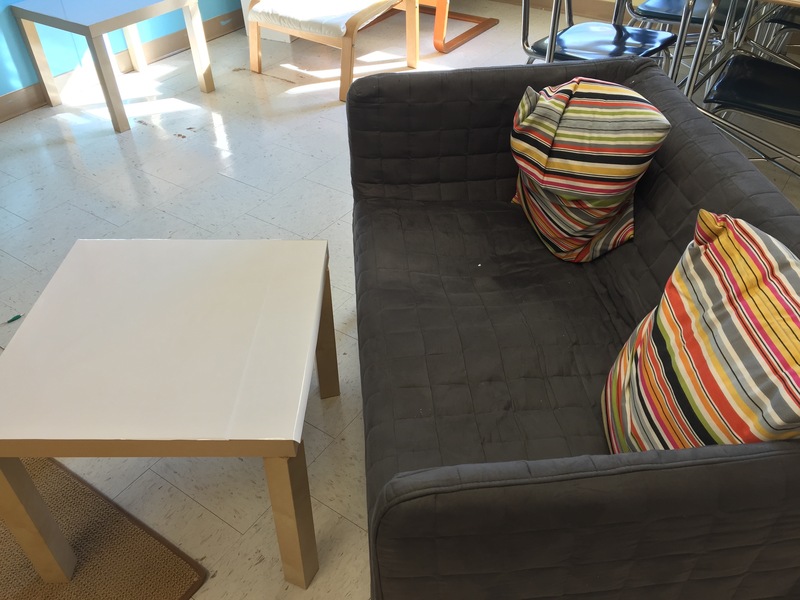 In fact this corner is a classroom edition of an IKEA ad–the sofa and the chair in the corner are also from there. 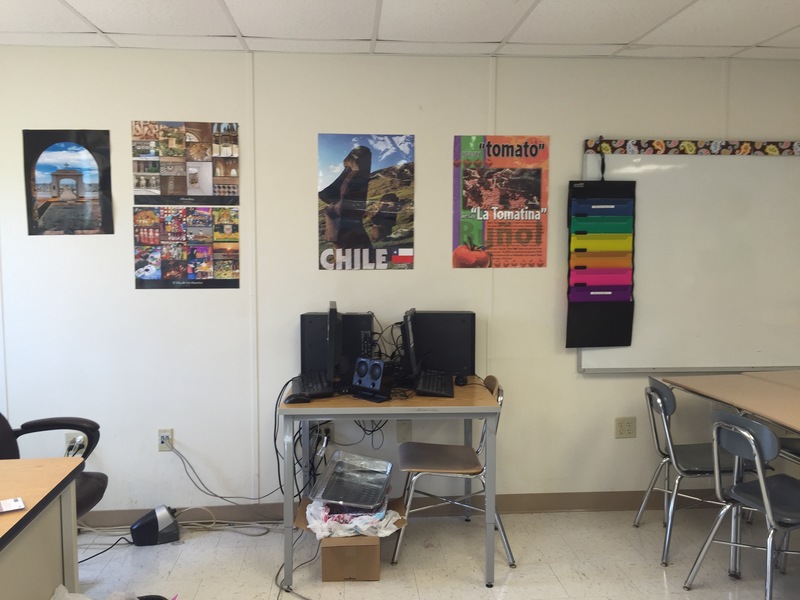 Word wall posters from Martina Bex are in this corner too, as is our classroom library. One of the offices was getting rid of this cool rotating literature rack, so it became our magazine organizer in the corner. A new twist to the IKEA table to accompany the IKEA loveseat and IKEA pillows: my amazing kids covered it in peel & stick whiteboad covering. We will see how it goes, I’m hoping it will allow for some more collaboration and brainstorming. My desk & work area are at the back in the corner. Definitely a work in progress! 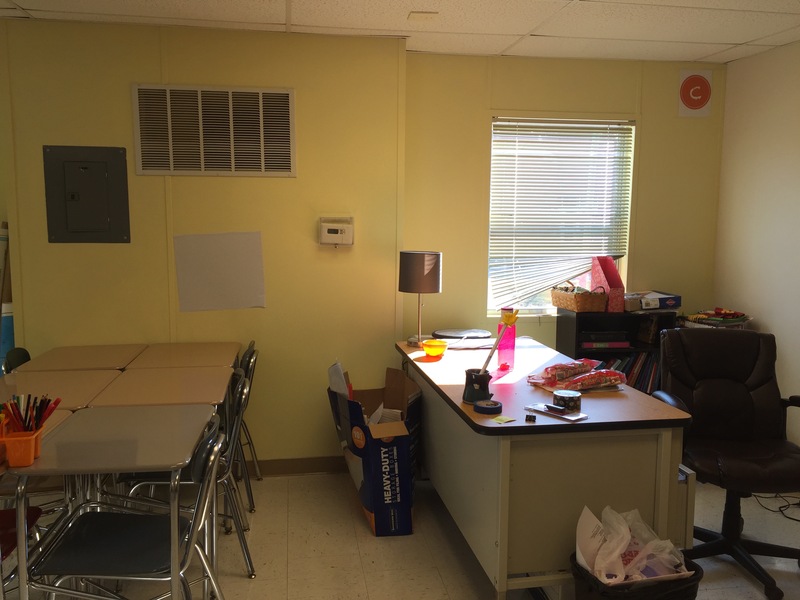 Student computers and one of my favorite products ever–the hanging file folder. This is where students pick up their handouts & self-serve for getting extras. 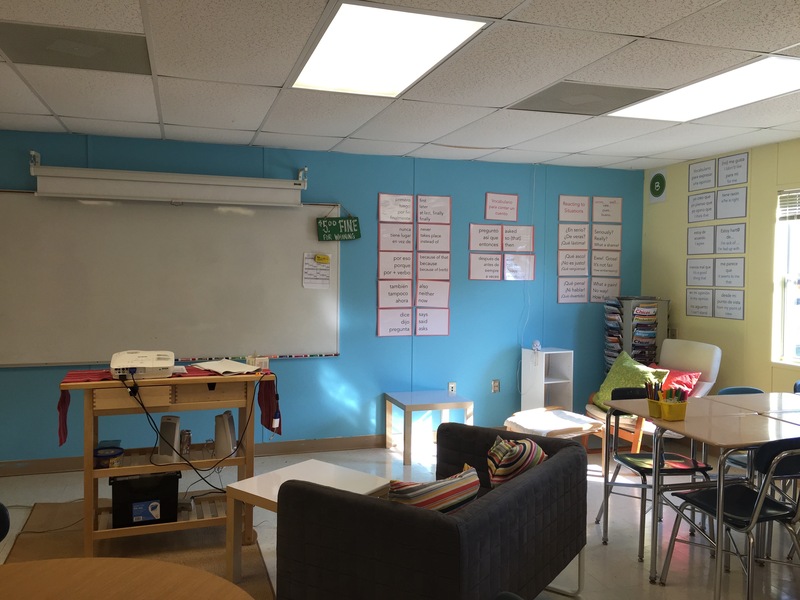 Still more reference walls, this time with verb stuff & more awesome resources from Amy Lenord. Outside the door: Lots of decoration that includes my favorites! 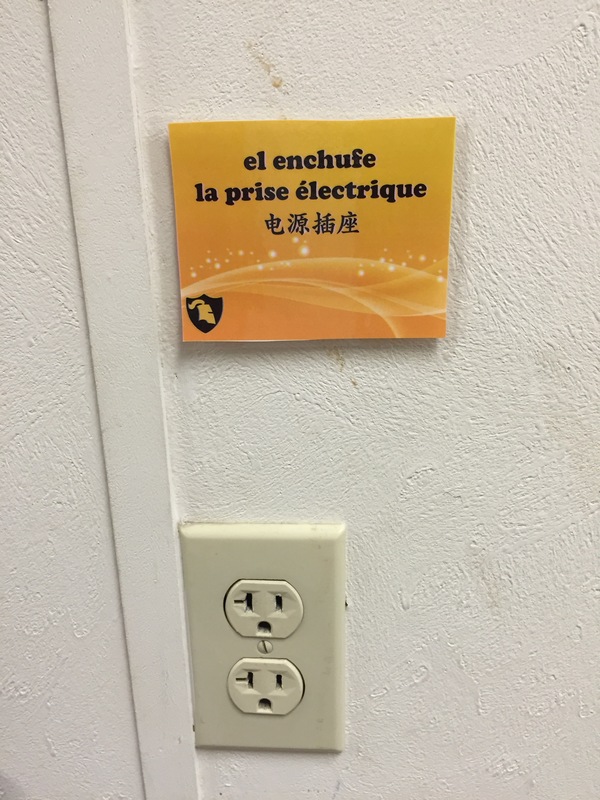 Our building houses Spanish, French, and Chinese, so we have labeled many things in all three languages. 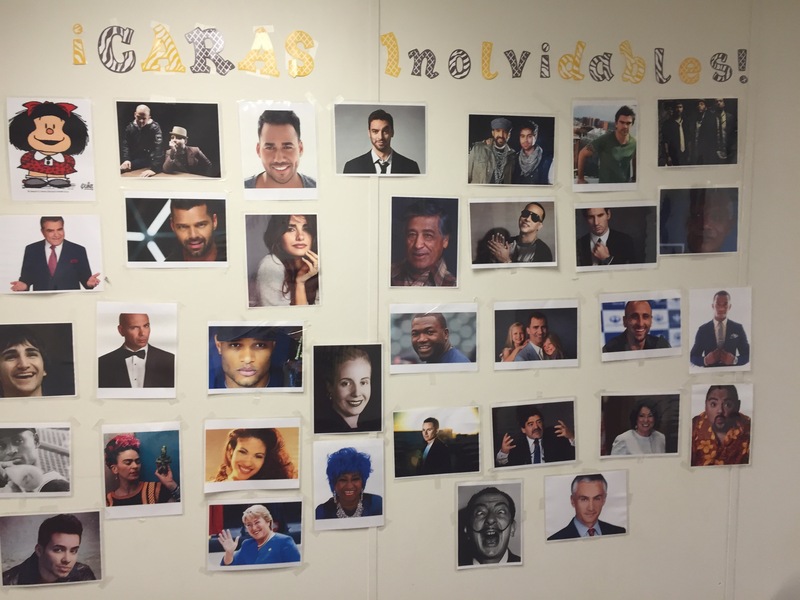 The Caras Inolvidables display will become an interactive tool identifying key people in Spanish-speaking cultures. 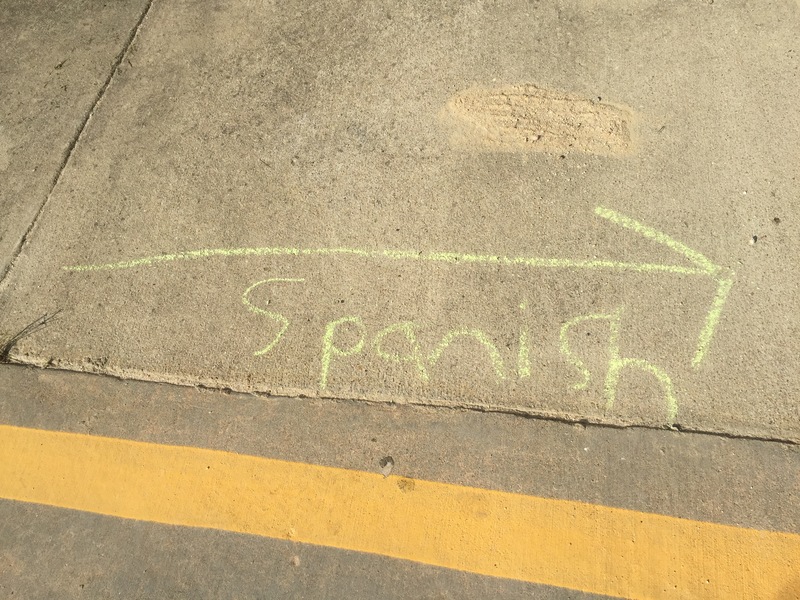 And finally… since all the world language rooms have been relocated, my kids helped me ease the transition for my students by pointing the way!